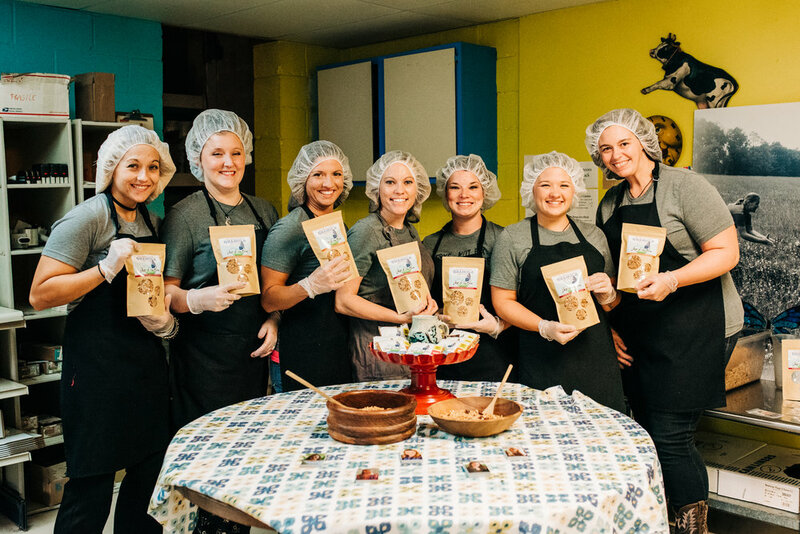 At Out of the Blue, we don’t just make delicious, homemade and healthy snacks; we’re changing the lives of families across Middle Tennessee by providing a path to recovery for women struggling with addiction and abuse. While it started with granola, we’re expanding. 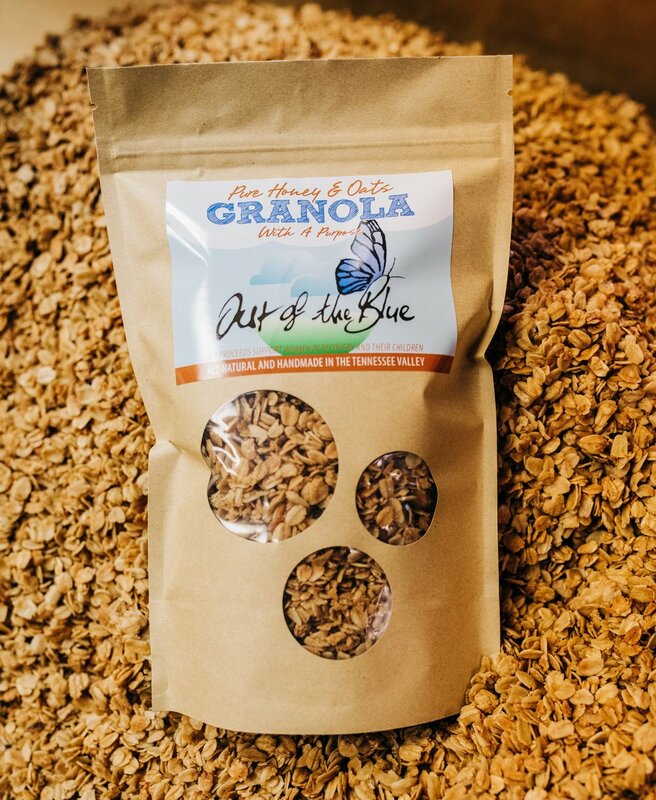 Out of the Blue will soon be offering a variety of healthy and delicious snacks; that will in turn allow us to help even more women and their children. All of the women who work to craft the Out of the Blue products are graduates or residents of Blue Monarch. Blue Monarch's mission is to provide a long-term, residential and therapeutic Christian community for women and their children to break adverse cycles and rebuild their families. Located in the Tennessee Valley, Blue Monarch has been transforming the lives of women and their children since 2003. You can learn more about Blue Monarch here.